A good moisturiser is a must have for all seasons and Happily Unmarried Body Lotion, Indigo and Marigold, is the latest body moisturiser that I have tried out in my bid to find a no-chemical, gentle and effective nourisher for my body. Priced at 350 INR for a 200ml bottle, Happily Unmarried Body Lotion comes in three appealing variants but I will be sharing my review of the Indigo and Marigold variant. 1) Happily Unmarried is a known and trusted brand and so my decision to buy this product was partially based on the trust a consumer bases on a brand name and I am so happy that my trust is not misplaced. 2) Chemical free (No parabens and sulphate) and having skin friendly natural ingredients like Indigo, Marigold, Avocado oil, Jojoba oil, Mango butter, Evening Primrose etc., this product is all natural and after using it for over two weeks, I have seen a marked betterment in my skin tone, shine and softness. 3) I didn't face any allergic reactions from using this product. 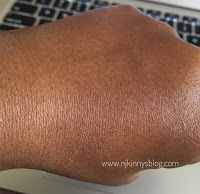 4) The texture of the lotion is smooth, light and it gets easily absorbed in the skin without leaving an oily layer. 5) Suited to all skin types, this lotion is specially suited to combination skin people because it is just light enough to not cause oiliness and just dense enough that it moisturises the skin perfectly leaving it soft and supple. 6) For oily skin, it may cause oiliness especially in Summers and for dry skin, you will need atleast two coats of the moisturiser to properly moisturise your skin for a length of time. 7) The packaging of the lotion is sturdy and it comes in a plastic bottle with a pump that allows easy discharge of the lotion without any spilling and wastage. 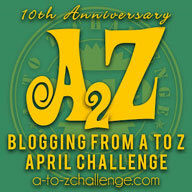 8) Only a small quantity is required to cover large areas of the skin and the skin stays moisturised for hours. 9) Shelf life of 24 months from the date of manufacturing is also a plus. 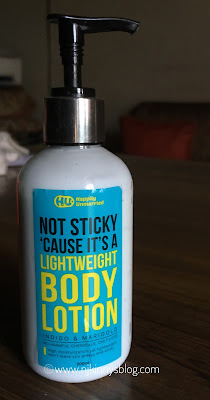 10) The quirky and funny quote on the bottle "Not Sticky 'Cause It's A Lightweight Body Lotion" had me smiling. Typical Happily Unmarried product, Happily Unmarried Body Lotion, Indigo and Marigold is a great gifting option. 1) There is no SPF in this lotion which is a necessity in the current scenario where skin needs protection from the sun and a lotion that contains SPF is always on the preferred lists of consumers. 2) I feel the price is a little on the expensive side for a 200 ml bottle. 3) The moisturiser while light and easily absorbed still leaves my combination type skin dry in patches and I have to apply a minimum of two coats of the lotion for desired moisturisation. 4) The fragrance is a little intense and can cause irritation to people with sensitive noses. "Indigo extracts should not be used when pregnant or lactating." All in all, Happily Unmarried Body Lotion, Indigo and Marigold is a decent product that will appeal to people looking for a light , daily moisturiser free of harmful chemicals and full of natural skin healing and rejuvenating ingredients like Marigold and Indigo.